With beaches, parks, watersports, and more, there’s always something to do around North Palm Beach and Lake Park, FL. With all the available activities, you’ll need a car that can keep up with every step of the way. Fortunately, GMC vehicles offer impressive capability without sacrificing everyday comfort. Find out why GMC vehicles are the best pick for the area and find your next GMC car for sale in North Palm Beach, Florida. With all there is to do around North Palm Beach and Lake Park, you need a vehicle that adapts to your needs. One day you’re driving a group to the beach. The next you’re loading up with gear for fishing or diving. Fortunately, GMC makes some of the most versatile SUVs on the road. For example, the 2018 GMC Acadia provides seating for seven, which can be folded down for a spacious 79 cu. ft. of cargo space. This midsize SUV also features a smooth, cushioned ride that adjusts easily to most road conditions with the available all-wheel drive (AWD). Experience GMC versatility with the 2018 GMC Acadia for sale in North Palm Beach. GMC also makes some of the toughest vehicles out there. Our capable Sierra line of full size and heavy duty grade pickups are the perfect choice to tow your favorite water toys to the dock for a day on the ocean. The 2018 GMC Sierra 1500 can tow up to 12,500 lb. when properly equipped. Get pickup muscle with the 2018 GMC Sierra 1500 for sale in North Palm Beach. Your car should be more than just a work machine. You still need comfort for your everyday commute. That’s why GMC’s vehicles feature plush, upscale interiors crafted from premium materials. GMC’s compact crossover, the 2018 GMC Terrain, offers available leather seating and a standard 7” infotainment screen with smartphone integration. Check out the comfortable 2018 GMC Terrain for sale in North Palm Beach, Florida. Once you find the right GMC car, go out and enjoy it with some of these North Palm Beach and Lake Park destinations. With the variety of nearby dive sites and charter companies, like Lake Park’s Deep Obsession Charters, the Palm Beaches offer some of the best diving in the world. Get an up-close look at sharks, rays, grouper, and other sea creatures in their natural habitat. Your GMC Acadia or GMC Sierra 1500 prove more than enough room to haul all your equipment. Looking for a more remote place to enjoy the ocean. John D. MacArthur Beach State Park has preserved the pristine natural beauty of the shore. Enjoy swimming in clear waters, kayaking, walking trails, and more in a less crowded environment. When you’re done enjoying nature, you can escape into the comfort of your 2018 GMC Terrain. Manatee Lagoon provides the whole family with a chance to learn about and observe these endangered marine mammals. More manatees are attracted to the observation area on cooler days making this the perfect activity for when it isn’t the nicest outside. The 2018 GMC Acadia offers more than enough room to bring your whole family to enjoy the manatees. Not sure which GMC model is the right fit for you? 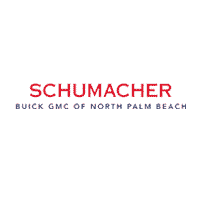 You can visit Schumacher Buick GMC of North Palm Beach to see our lineup for yourself. Contact us at 561-282-1957 to learn more about our capable trucks and SUVs.